Pure joy. Just incredible. 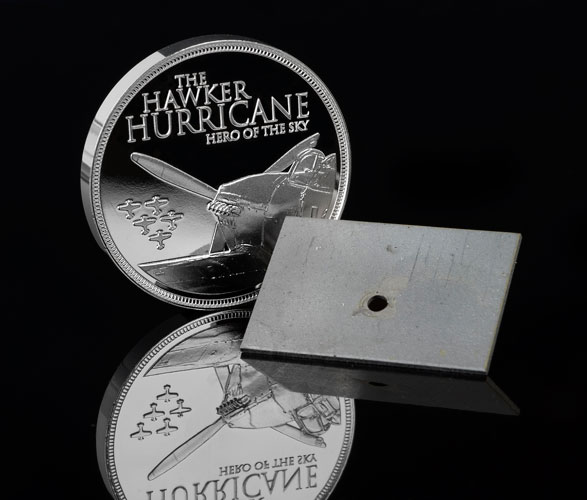 The Hurricane was the true Hero of the Sky…. A few – they were after all 'The Few' – pilots' comments on the Hawker Hurricane. The plain one. The dumpy one. The unsexy sister of the glamorous Spitfire; and the one which actually won it. World War II was a war that changed the face of the world. Aerial warfare was utilised on a large scale for the first time and the Royal Air Force had two stand-out fighter aircraft tasked with protecting the skies against attacks from the Luftwaffe. One was the Hawker Hurricane. Always considered the underdog compared to the Spitfire, it was the Hurricane that undertook the majority of the work during The Battle of Britain, and so it affectionately became known as the 'workhorse of the sky'. 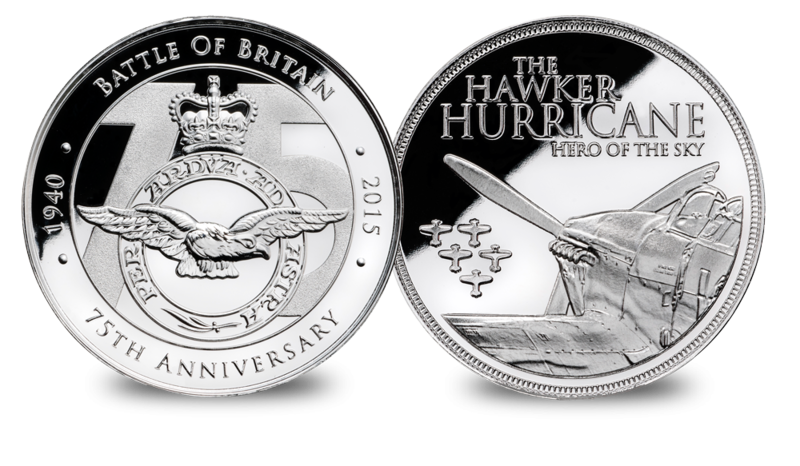 Poised and ready to take to skies this medal depicts the last Hurricane to have entered service with the RAF. Crafted by Worcestershire Medal Service, Medallists to Her Majesty Queen Elizabeth II, this commemorative is struck in solid bronze and layered in pure Silver to a flawless proof finish. Be among 'the few' to own your own piece of history and wartime aircraft! 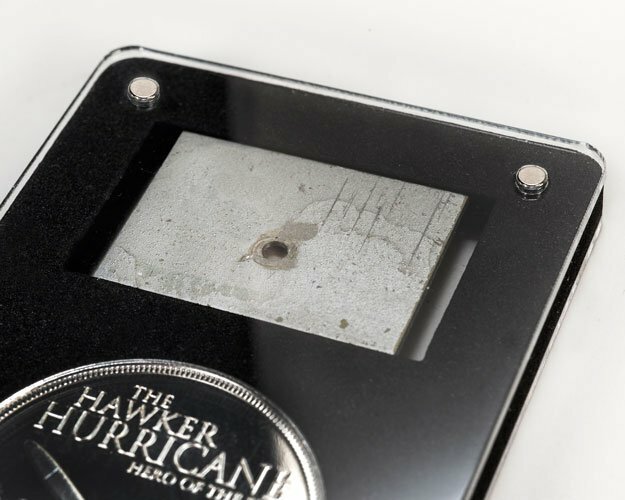 Celebrating the true ‘hero of the sky’ that saved Britain from certain invasion, just 2,015 medals have been issued worldwide - but what makes it truly exceptional is that this medal is presented with an original piece of Hurricane wing from an aircraft which actually flew in The Battle of Britain. It is believed only 13 Hurricanes survive today which can still fly. 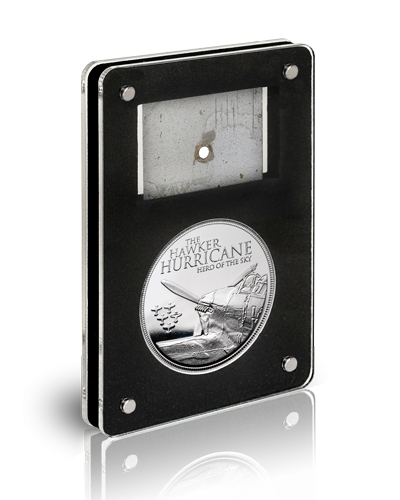 You can be among ‘the few’ to own your very own piece of an original Hurricane! 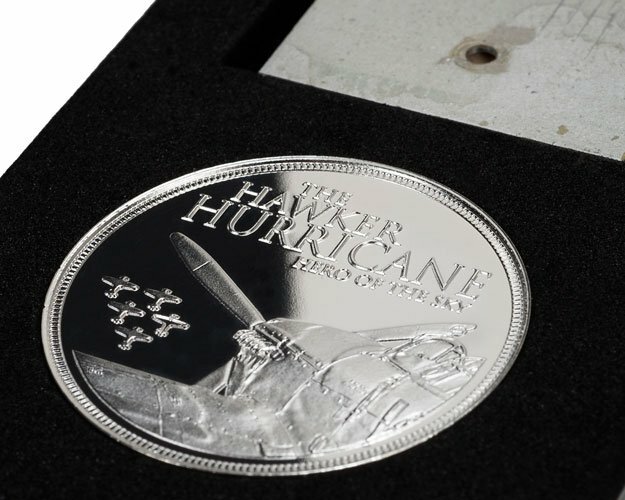 Each medal comes beautifully packaged in an archival case with a signed Certificate of Provenance confirming the origin of the metal and its limited edition status.